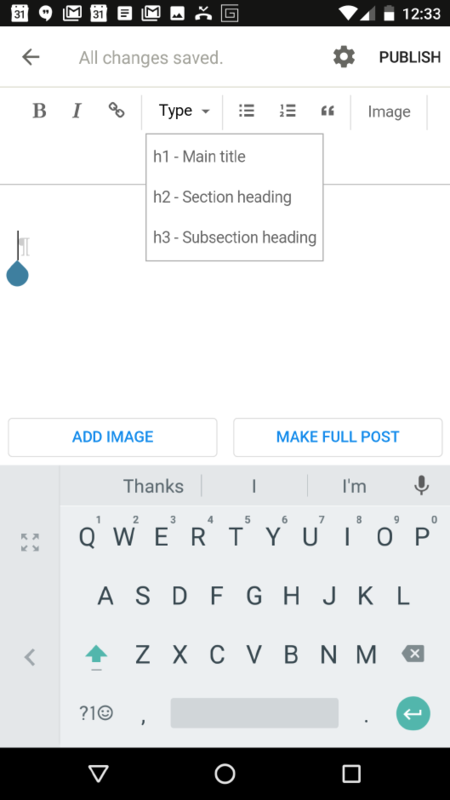 Your Post Editor on Android works similarly to the webapp's post editor. 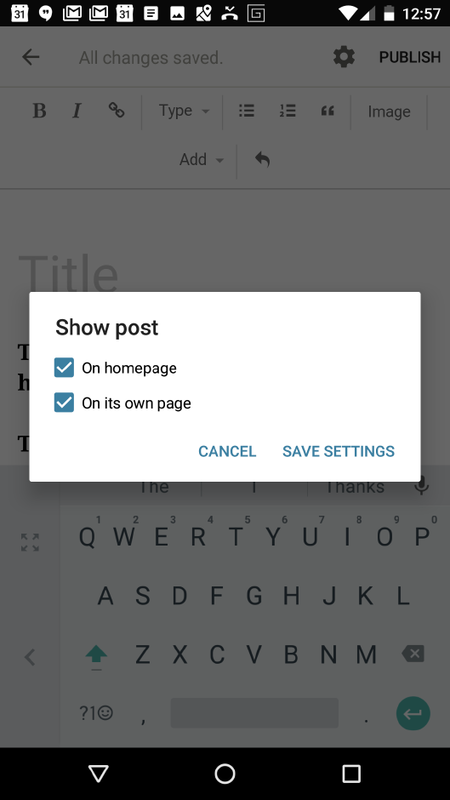 To get to the Post Editor, click the Plus + and tap Create Post. 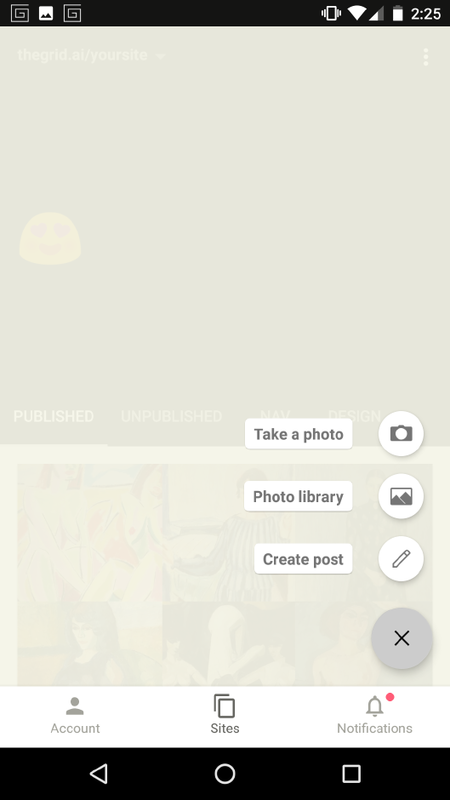 You can also launch the editor by tapping on an existing post you'd like to edit. 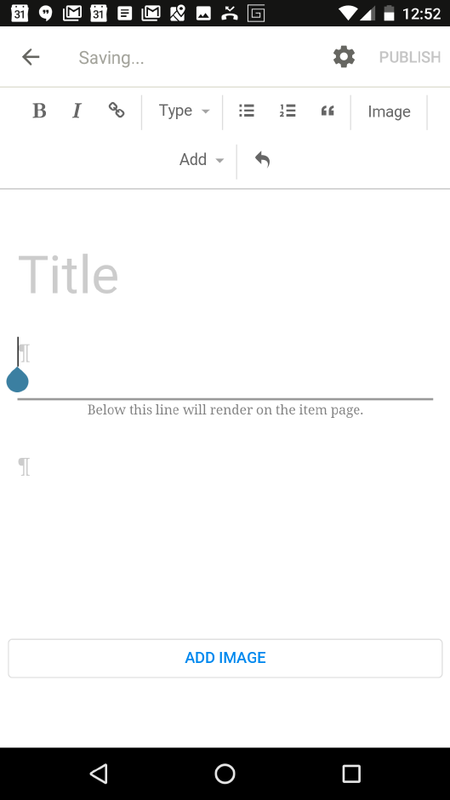 This will open the post for you in the Post Editor. Start by clicking the Plus +. This will show you your posting options. Choose Create post. This will open the Post Editor. The gear icon at the top next to Publish will open your post settings. 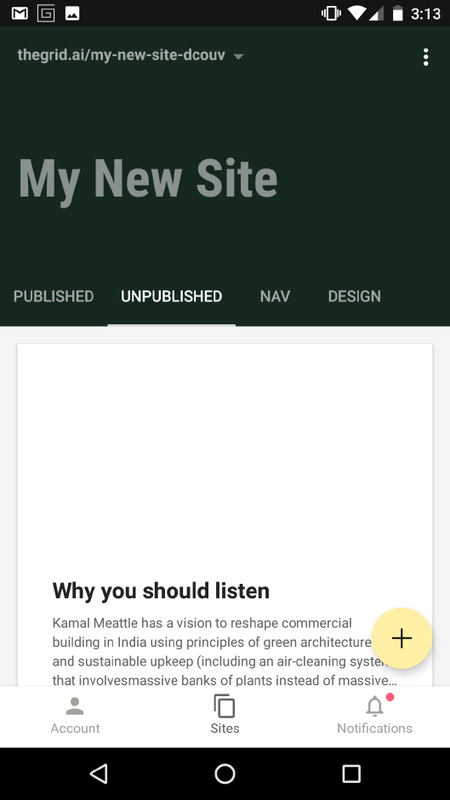 You can choose if you want it on your homepage, or on it's own page and connected to Nav. If this is your first post, make sure it's set to homepage. Your Post Editor tool bar has all the same features as the post editor on the webapp. 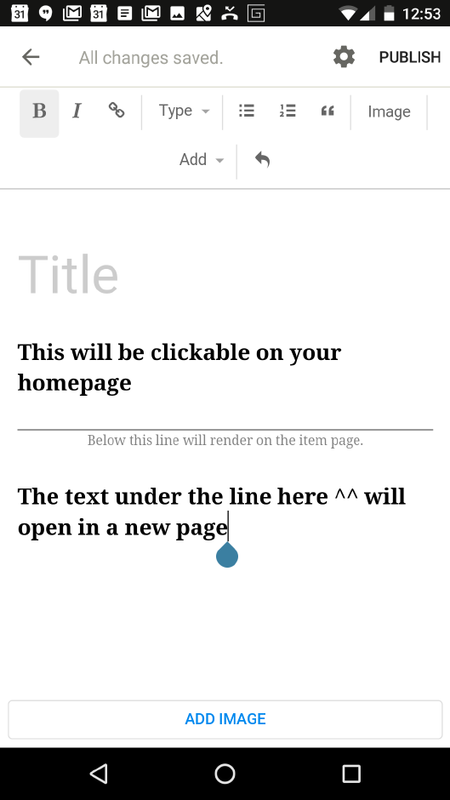 Under the Tool Bar is the space to enter text, image, URLs. 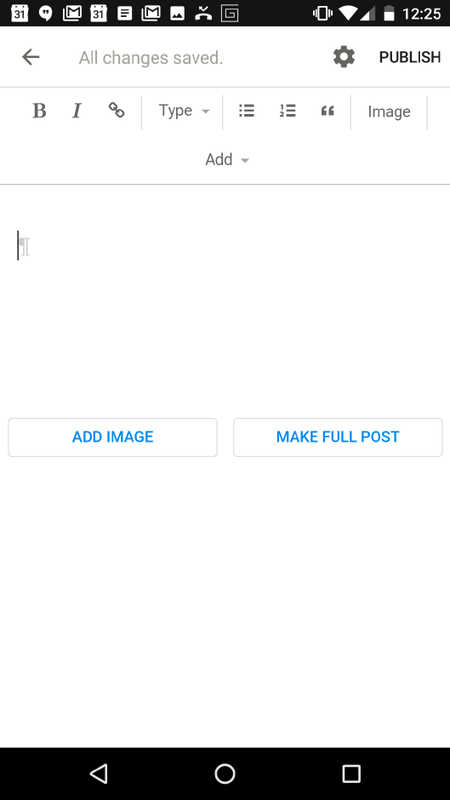 Make Full Post - Tap this button if you want to create a post that has clickable text or image that will open your post with additional text that you enter under the line that shows up when Make Full Post is clicked. 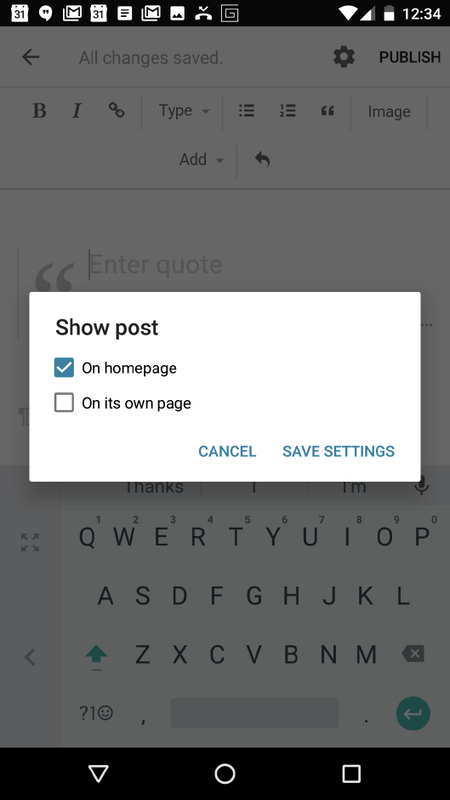 You'll want a Full Post to be on both your Homepage and It's Own Page. Click the Gear icon in the upper right to do this. Now, to save your post, click the Arrow in the upper left to save to the Unpublished tab as a draft, or click Publish to post it live to your site and to your Published tab.